Why we chose to do a session on SAP Vora 2.0 – Because it is new, it is exciting and it brings the world’s of SAP and Big Data neatly together. 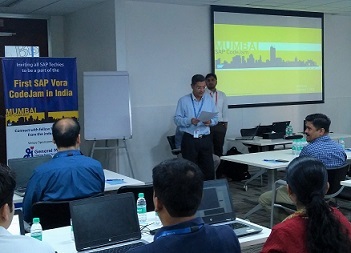 To guide us through the session, SAP sent the best experts available on this side of the world Pushkar Deshpande and Anugrah Gupta and it was a wonderful experience interacting with them. Initial announcement and registration was done through SAP Vora Code Jam blog by my colleague and CodeJam veteran Amol Vakhare. 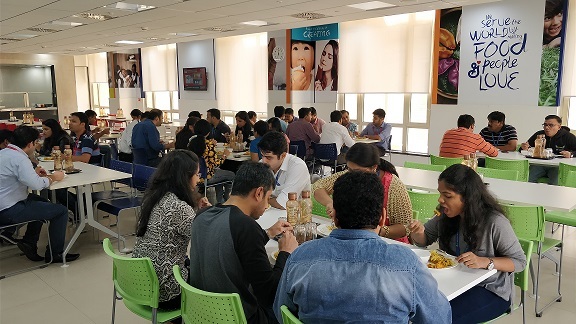 In no time at all, we had the limited open seats filled up with requests for more – this showed how much interest Vora was generating within our broad community. The day began early and after the participants settled down, the session was opened by a keynote from Subhonil Ghoshal, Site Director, General Mills who encouraged all to do utilise such sessions to gain and share knowledge and take back the same into their organizations. 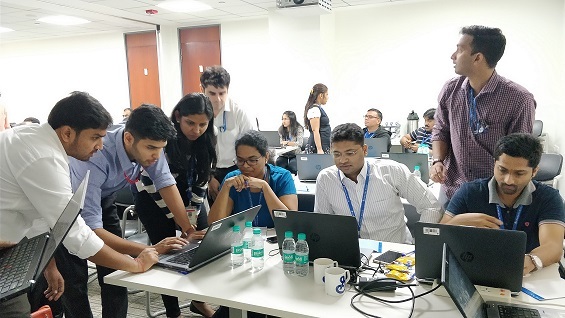 This was followed by hands-on exercises to setup SAP Data Hub Developer Edition on everyone’s laptops. This edition of SAP Data Hub allows individuals free of charge to test, evaluate, and prototype their data scenarios, thus generally increasing awareness of capabilities of SAP Vora. After installations, the focus shifted to understanding the various features and components of SAP Vora like Graph engine, Time Series Analysis engine, Document Store etc. 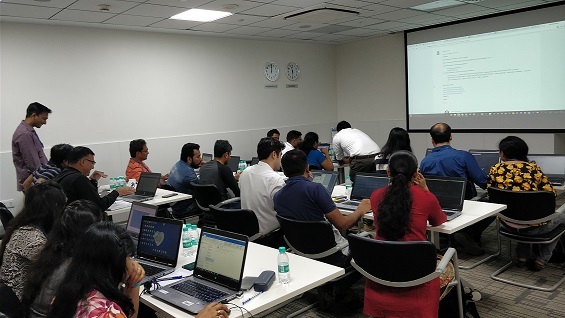 For each of this topics, there was a brief introduction by Pushkar followed by tutorial backed hands-on exercises. There were lot of questions, which was expected and the SAP experts handled them easily given their knowlege on the subject. I definitely liked their interaction with all attendees and I believe all of them enjoyed the session as much as I did. In between, there was a panel discussion on SAP Vora capabilities and use cases. The panel comprised of the SAP experts for the day, Former Member – Technical Architect General Mills, (over Skype from UK), Former Member – SAP BW expert, General Mills and myself – SAP Basis expert, General Mills. Our experience with Vora in its earlier avatar (1.6) helped us to compare versions, look at new features and validate that some of our feedbacks have made it into the new version. We took questions from the participants and everyone was excited to know that Vora iterations have been for the better. 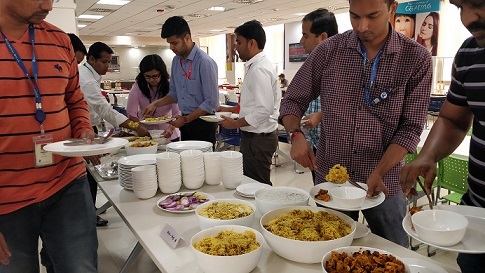 Of course, with all the excitement around the session, we did not let the guys go hungry, there was a great lunch provided on premise as well. At the end of the day, a diverse group of SAP consultants had their first taste of SAP Vora and were pretty enthusiastic to try it in their respective organizations and have discussions around it. That buzz, I believe, was the best certificate of the event success. For people who want to use the Developer Edition to get their hands dirty and learn more, please head over to SAP Data Hub Developer Edition to download the free edition. Please pay heed to the mandatory requirements and you should be fine. 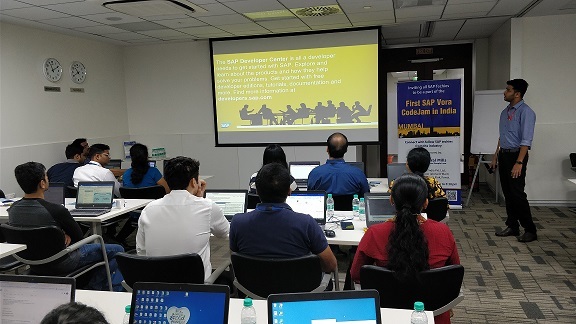 Many thanks to the SAP experts Pushkar Deshpande and Anugrah Gupta and Krishna Dalal for making this session happen and looking forward to more Code Jam sessions in future. The blog was very subjective and it clears the idea about SAP.